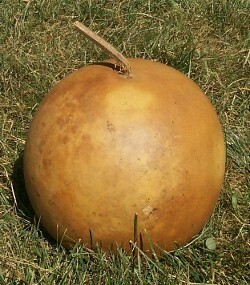 Called a basketball gourd or a cannonball gourd. 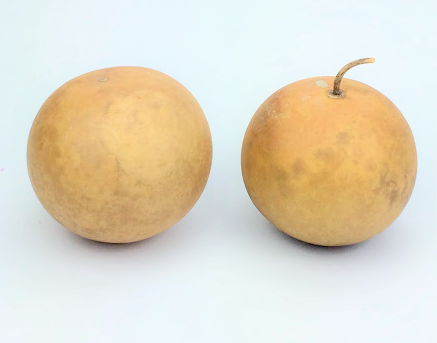 These are between 6 and 7 inches in diameter. 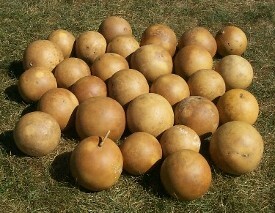 These cannonballs have surface blemishes and/or irregularities.